Exploring Baltimore and D.C. on a college budget can be rough. The Hopkins Discount Program makes it easier to check out what Baltimore and D.C. have to offer by allowing for discounts of up to 20% at participating restaurants, salons, B&B’s and more. Check out the list below of participating vendors, and show your valid Johns Hopkins ID to start saving! 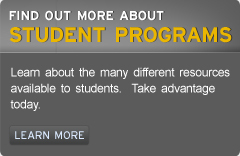 Want to be become a JHU Discount Program vendor? If you are a current vendor who wants to renew, or a new vendor interested in becoming a part of the program, please fill out our Vendor Application/Renewal Form. Check out the JHMI shuttle maps to see if the Hopkins free shuttle runs close to your destination. The Charm City Circulator is Baltimore City’s free shuttle service to downtown areas. The Circulator consists of a fleet of 21 “green” busses, and leaves every 15 minutes from designated stops. You can take the JHMI to Penn station, and catch the circulator from the St. Paul street bus stop. For additional information or questions, please contact William Archer.